Thomas Haapapuro is an artist in the InFocus Gallery at Greenhill. To view his work and to learn more about him CLICK HERE. The below post was based on Thomas Haapapuro's website. All images ©Thomas Haapapuro. 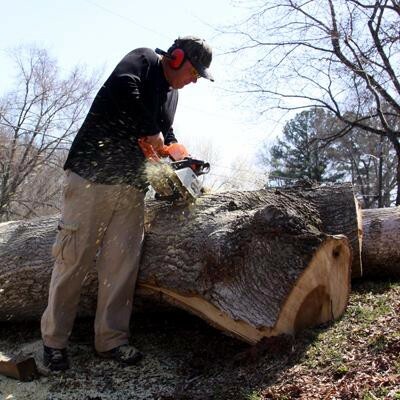 The process starts when Thomas Haapapuro receives a call or message that a tree is available. 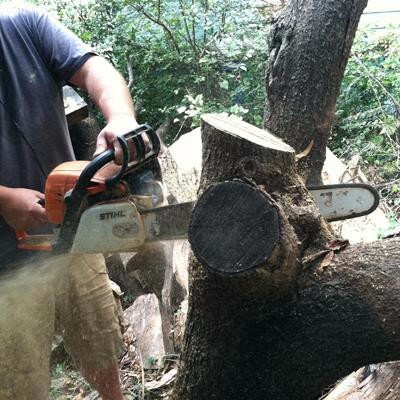 He goes to the site to cut the tree into manageable pieces, load it on the truck, and take it back to the studio. With the tree back at the studio, it is prepared when it is still green (the wood has not cured). This normally begins with a long slice down the center of the tree. Since this is where wood is most likely to split in the final piece, he cuts it off here first. This also allows him to create very long bowls with a unique grain pattern. 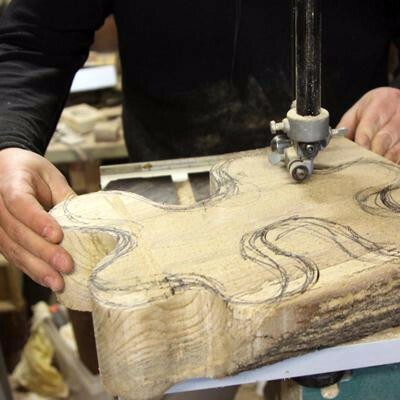 With a pencil, then a sharpie, a freehand pattern is drawn on the surface of the slab. 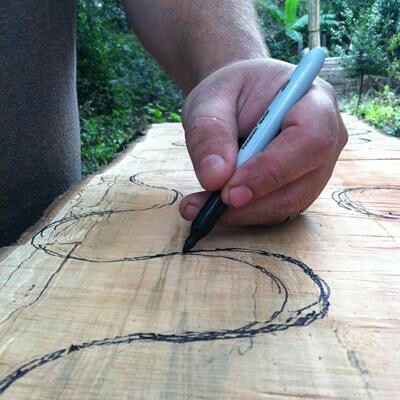 The pattern will work around weak places in the log, swooping in to take advantage of an interesting grain in the wood, swooping out to avoid a knot in the tree. Since no two logs are alike, neither are two patterns ever the same. The pattern, which will be the outside edge of the bowl, is then cut. 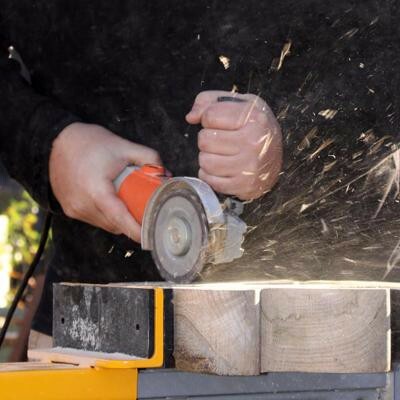 On smaller bowls, this can be done with the band saw. 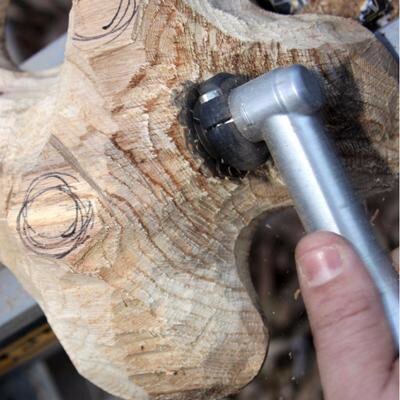 On larger bowls, this step is very carefully done using the chain saw. With the bowl blank complete, the real work begins. To give the initial shape to the bowl, a powerful carver is used. This carver is essentially a small chain saw blade attached to an angle grinder. This tool is very good at removing material and giving a rough shape to the bowl. 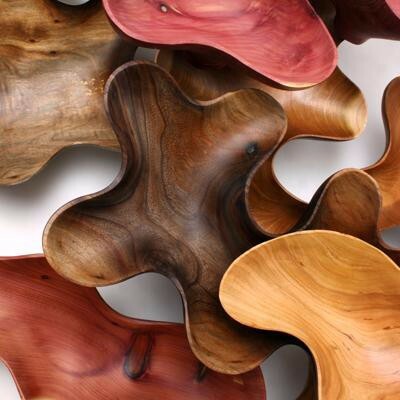 When the rough shape of the bowl has been created, a much smaller chain saw carver is used to refine the details. At this stage, the bowl begins to take shape, and is slowly refined to make the bowl thin and light. The gentle undulations of the bowl are developed carefully at this stage. After the shape has been refined and finessed, the bowl is sanded very carefully. Sanding starts with very rough sandpaper, and graduates to finer and finer grits until the wood gleams. Then an all-natural finish wax, made from beeswax, linseed oil, and bear berry fruits, is applied to the bowl. This wax is burnished into the wood, creating a durable, all natural shine that protects the wood without changing the natural beautiful color of the tree. At long last, the fallen tree's inner beauty can be witnessed and cherished for generations to come. View works available here.